September 26-29, 2007 • Hyatt Regency Santa Clara, CA • Register Now! Use Promo Code 'STRMEMCONF' When You Register to take Advantage of this Special Offer! WITI Announces 2007 Hall of Fame Inductees! Executive Vice President and CTO, Motorola, Inc.
Support the 2007 WITI Hall of Fame Winners - Buy a Table, Be Present to Let Them Know You Support Their Accomplishments! The WITI Hall of Fame is the Women in Technology Foundation's 501©3 annual fundraiser. It is so important to acknowledge the women who have been independently nominated and inducted into the WITI Hall of Fame, an award considered to be the most prestigious award for women in technology. In each case you get a sign for yourself or your company and a night of inspiration and good feeling that you have honored the role models for the next generation of women. WITI Global Executive Network (GEN) Provides Executive Women with a Platform for Strategic Collaboration, Facilitated Peer Interaction, Outreach and Professional Development. The WITI GEN reception is a private event held by invitation only on Friday September 28th from 4:00 PM to 6:00 PM. To request an invitation to this event, please e-mail: [email protected]. Would you like to be able to generate success, enthusiasm and your own well-being, even in the face of opposition and change? In this experiential session, you will learn to become unstoppable in your work and life by reinventing your vision of yourself to reflect your highest standards and ideals. As the world shrinks and becomes increasingly competitive, it is important to actively look for ways to raise your value. Unlike days of old, you now own your career path and professional development. Your skills set needs to be aligned with the morphing economy. It is important to keep scanning the horizon for ways to provide value that the market will reward through meaningful work and pay. To be valued, we must have value, and value is a moving target. Key questions as we plan for the future are: What trends can we benefit from? Where should we target? How can we move there? September 18, 2007 • Fort Lauderdale, FL • Register Now! The moment you step into your office or the kitchen, there is ordered chaos... or is there. Do you have sufficient staff? Do you have the project plan approved? Too many cooks spoil, or is it unspoil, the brew? The project management (PM) techniques that busy executives oversee and employ to ensure successful outcomes are well executed. 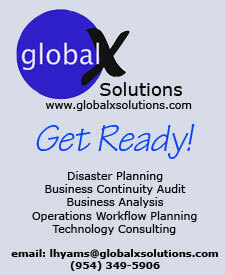 Featured Business: Global X Solutions, Inc. Global X Solutions offers consulting and project planning services through unique operational expertise and combined experience of more than 50 years in the media and entertainment industry. HP is proud to be a sponsor of the 2007 WITI Conference. How to exploit disruptive trends, such as Web 2.0, Enterprise 2.0, social software, SaaS, and virtual worlds to increase competitiveness and much more! Kingston Technology was ranked in Fortune Magazine's "100 Best Companies to Work For in America". Headquartered in Fountain Valley, California, Kingston Technology Company, Inc. is the world's largest independent manufacturer of memory products used for computers, servers, printers, MP3 players, digital cameras and cell phones. Kingston's tenets of respect, loyalty, flexibility and team work create an exemplary culture where investing in its people is essential, with each employee being a vital part of Kingston's success. We are seeking candidates who want to work in such a culture, with a team oriented approach, and who want to expand and develop their engineering experience and knowledge. Due our Company's continued growth, we have opportunities available for individuals who want to join our engineering team to work on the design and development of new and existing products. The Hardware Engineer is primarily responsible for coordinating the design, development and testing of new and existing products; researching and determining the feasibility of product designs based on cost and functionality, and generating preliminary specification and BOM; building prototype and verifying design based on software and hardware standards. The Software Engineer is primarily responsible for coordinating the development and software testing of new and existing products; verifying designs based on software and hardware standards. Three to five years design experience. Ability to manage multiple tasks/projects, along with the ability to follow through with all assignments. Ablility to work effectively and cooperatively with others in a team-oriented work environment. To be considered for a career opportunity with Kingston Technology, please email your resume, with salary expectation, to [email protected]. Who is WITI? What can WITI do for me? SVASE and TiE Job Fair For Emerging Growth Companies!